Figure 1.24: Aliasing artifact. 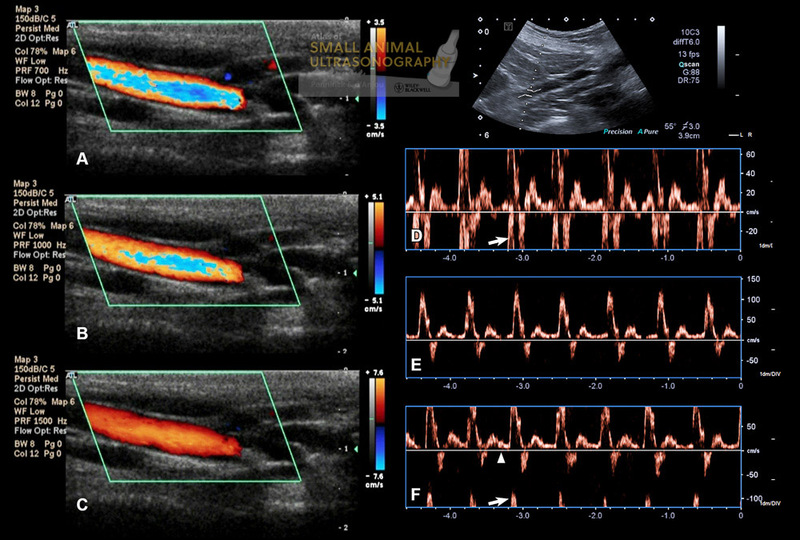 A: With color Doppler, aliasing appears as a linear or mosaic hue in the center of a high flow velocity vessel and when the measuring scale (on the right, 3.5 cm/sec in this case) is exceeded. B: By increasing the scale to 5.1 cm/sec, the artifact is less pronounced. C: It disappears completely when the scale is increased to 7.6 cm/sec. D: With Spectral Doppler, aliasing manifests itself as wrap-around of the flow profile on the opposite extremity of the velocity scale. The measured maximal velocity of this iliac artery (in direction of the transducer) exceeds 60 cm/sec and is interpreted as reversed (arrow). E: Increasing the velocity scale (or pulse repetition frequency) to 150 cm/sec, allows the entire flow spectrum to be included. Note that the calculated maximal velocity of this artery exceeds 100 cm/sec. F: The baseline (arrowhead) position can also be responsible for the onset of aliasing. In this case, it was moved to the positive side, reducing the scale on that side (maximal velocity approximating 75 cm/sec), and resulting in velocity peak wrap-around (arrow). 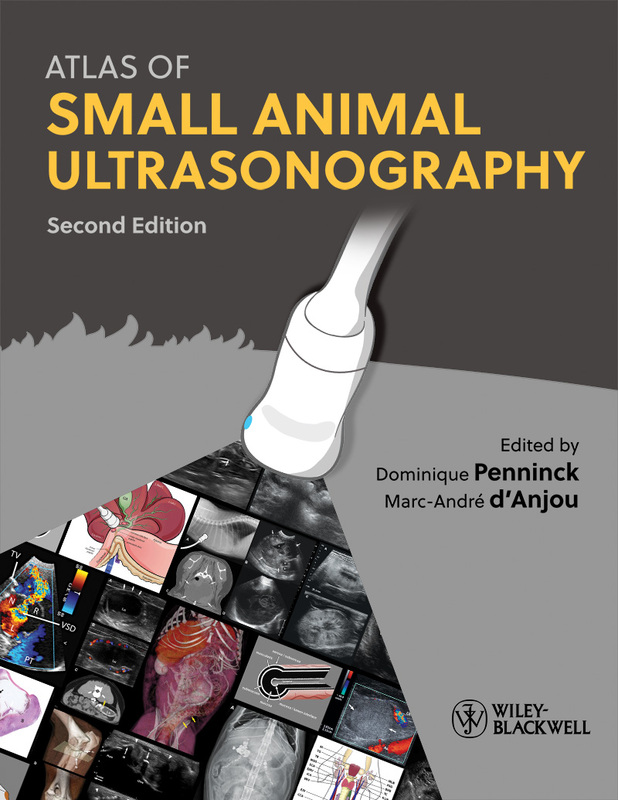 co-authored by Marc-André d’Anjou and Dominique Penninck.